Gov. Paul LePage speaks with reporters before a meeting to discuss health care and tax reform in the Eisenhower Executive Office Building in Washington on Sept. 22, 2017. Gov. 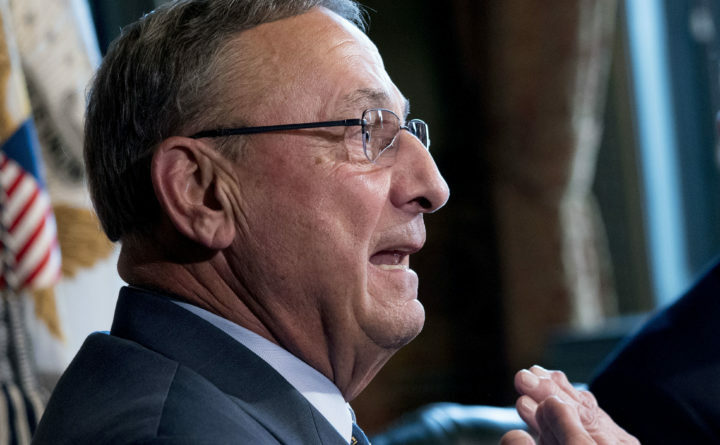 Paul LePage’s administration is putting an early end to a contract it awarded to a Massachusetts firm to handle part of the state’s Medicaid application process and take over the jobs of 10 state employees. The administration entered into the contract this winter without soliciting competitive bids, and even though having the contractor perform the work would be more expensive than keeping state employees on the job, the BDN reported in February. The Maine Department of Health and Human Services awarded the 25-month, $5.6 million contract to Commonwealth Medicine in Shrewsbury, Massachusetts, to have the firm’s specialists determine whether people are disabled for the purpose of qualifying for state-funded health coverage through Medicaid. Now, the contract will end after a year, and DHHS late last month issued a request for proposals seeking competitive bids to provide the service. A division of the University of Massachusetts Medical School, Commonwealth Medicine began evaluating Medicaid applicants’ disability status on June 1, as DHHS eliminated its 10-employee Medical Review Team. The team’s work involved reviewing applicants’ medical records to determine whether they qualified for Medicaid coverage because of a disability. The contract was on track to cost state taxpayers $300,000 more each year than the service cost when state employees provided it. The cost DHHS negotiated with Commonwealth Medicine also exceeded the budget the department had set aside for the contract by more than $500,000. 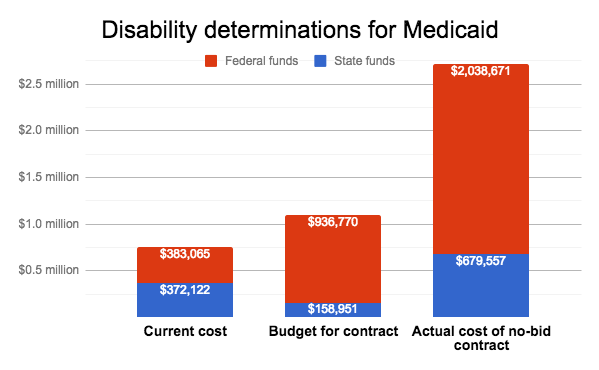 The LePage administration last year proposed outsourcing the disability determination work, and the provision became part of the two-year budget passed by lawmakers last summer. The budget projected about $200,000 in savings to state taxpayers before DHHS negotiated the contract with Commonwealth. The department expected the federal government to pay 75 percent of the cost of the contract, leaving state taxpayers with the remainder of the tab. The contract initially was set to run from June 1 of this year through June 30, 2020, with the possibility of two, one-year extensions. Instead, the state will end the contract after one year, Emily Spencer, a DHHS spokeswoman, confirmed. “Maine felt that 1 year would provide these critical services while allowing time to explore other service opportunities,” Spencer wrote in an email. The request for proposals seeks bids from service providers to make disability determinations starting June 1, 2019, following a six-week transition period. The contract would run for an initial, 25-month period with the potential for two, one-year extensions. A spokeswoman for Commonwealth Medicine didn’t answer a question from the BDN about whether the firm planned to submit a proposal to continue making disability determinations after May 2019. She referred all questions to Maine DHHS. About a fifth of Maine’s 266,000 Medicaid recipients qualified for coverage because of a disability. Others qualify based on their income, age and other reasons.